Addends are numbers used in an addition problem, 2 + 3 = 5. Two and 3 are the addends, while 5 is the sum. Addition problems can have two or more addends, which can be single- or double-digit numbers. Addends can be positive, like 5, or negative, such as -6. 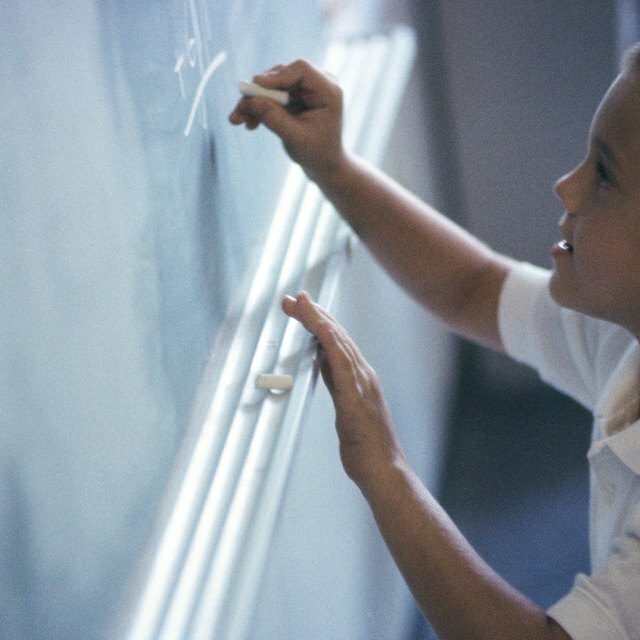 Educators use addends to teach basic addition to young children. Children start by learning basic addition skills for sums up to 10, and once they are comfortable with that number set, educators use addends to incorporate larger number sets from 20 to 100. Understanding addends and their functions teaches children the basics of number operations and enhances mathematical reasoning and problem solving skills. Missing addends are exactly as the name implies, meaning addends that are missing from the mathematical equation. A statement like 4 + _ = 8 contains one known addend, one unknown or missing addend and the sum. The purpose of learning addends like this is to introduce students to the basics of algebraic math. So if a student knows 5 + 6 = 11 and he sees a problem stating 5 + _ = 12, he can use his basic knowledge of addends and their sums to begin solving the problem. This is a useful skill for solving word problems. Addition problems can have more than two addends. Problems like 8 + 2 + 3 = 13 have three addends that equal 13. In addition problems that have two-digit numbers, like 22 + 82, students must carry a number into the hundreds column to solve the problem, requiring the addition of yet another addend. Problems with three or more addends teach students the important concept of grouping numbers together to solve the problem quickly. Grouping is also important because it helps students break down large problems into smaller, manageable problems that reduce the chance of mathematical errors. First, students learn to identify addends and their functions in addition problems. Next, teachers begin with easy addends or those considered counting numbers, 1 through 10. Students also learn double addends: 5 + 5 = 10 and 6 + 6 = 12. From there, teachers introduce the exercise called doubles plus one, a process that asks students to take a double addend, 4 + 4, and add 1 to the problem to determine the solution. Most students say 4 + 4 = 8, so if you add 1, you get 9. This also teaches grouping skills to students. Teachers also use this grouping skill to teach students about number order (i.e., 5 + 4 = 9 and 4 + 5 = 9), so students recognize that the sum does not change despite the order difference of the addends, a technique called reverse order addends. Another exercise to teach students about addends is called same sum addends. Teachers ask students to list all the addends that equal a particular sum. For example, the teacher asks for all the addends that equal 15. Students would respond with a list that reads 1 + 14, 2 + 13, 3 + 12, 4 + 11, 5 + 10 and so on until all the addends that equal 15 are included. This skill reinforces reverse order thinking and problem solving for missing addends. Fuller, Tuesday. "What Are Addends in Math Addition Problems?" Sciencing, https://sciencing.com/addends-math-addition-problems-8163341.html. 20 April 2018.